Over the last couple of weeks I’ve had the way cool opportunity to volunteer at the ballpark where my kids play. The concession stand lady has been on vaca, so I’ve subbed a few nights as the short order cook. Before you can scream, “Botulism,” let it be known that the food I was cooking had pretty much already been cooked and left over from 2-3 nights before, so there. Define the win. My first night on the job, I got a cursory tour of the condiment stand, the freezer, and that’s about it. I had to do the legwork of poking around the grill and utensils bucket to figure out where everything was. And because I didn’t know the win, I cooked too many fries (nobody told me you should stop dropping them after 7:00). I wrapped the burgers in the wrong paper (turns out the buns don’t stick to the aluminum foil). // Takeaway: our team members feel that same frustration when we don’t clearly explain the expectations before they start the job. Allow creative freedom. 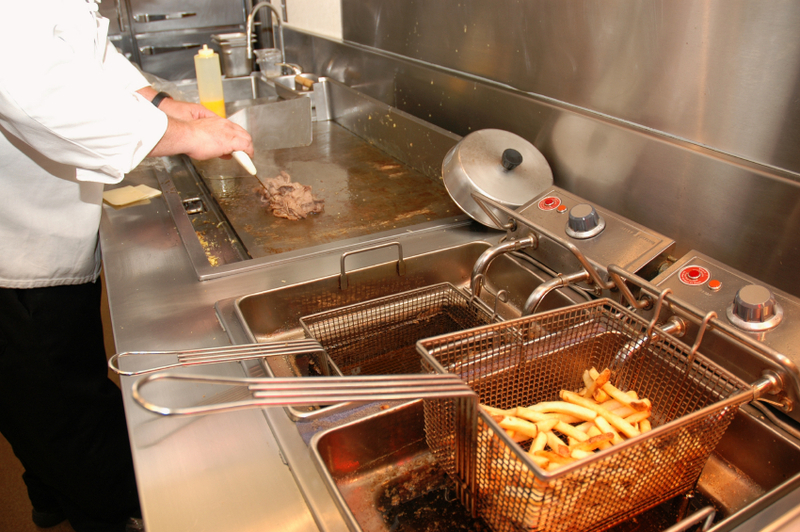 The french fry timer is set for four minutes, four seconds. The problem? At 4:04, the fries aren’t crispy…they’re soggy. But by golly, when that timer went off I was expected to pull the fries. As a grown man, I had assessed the problem (soggy fries) and recognized the solution (leave ’em in longer). And yet, I had to stick to the 4:04 rule. // Takeaway: what old, outdated rules are you forcing your intelligent, free-thinking volunteers to follow? Encourage people to whistle while they work. I walked in to the first night to work alongside two complete strangers. I finished the evening with two new friends. We laughed together, yelled at the nacho cheese warmer together, and figured it out together. // Takeaway: do your teams have time to build community, or is it all about the task? Say thank you. The folks in charge spared no expense in making sure their gratitude showed through. I got a thank you when I showed up, several thank you’s throughout the evening, and a big thank you and a fist bump before I left. // Takeaway: whose service did we take for granted this week? HAHA! This is awesome Danny. Btw – I have a feeling that you have never met anyone who didn’t like you … except for maybe the animals that live in your house ;).